I know teasers are no fun but I wanted to post one photo of the new F30 we just got. Upon opening the box you can quickly deduce that this is a piece with every detail taken into consideration. The front lip comes with two retaining brackets for mounting on the inner wheel well. The retaining brackets are used to provide additional strength all the while placing less stress on the urethane bumper. The lip comes with perfect instructions albeit in Japanese, but also have very useful photos. 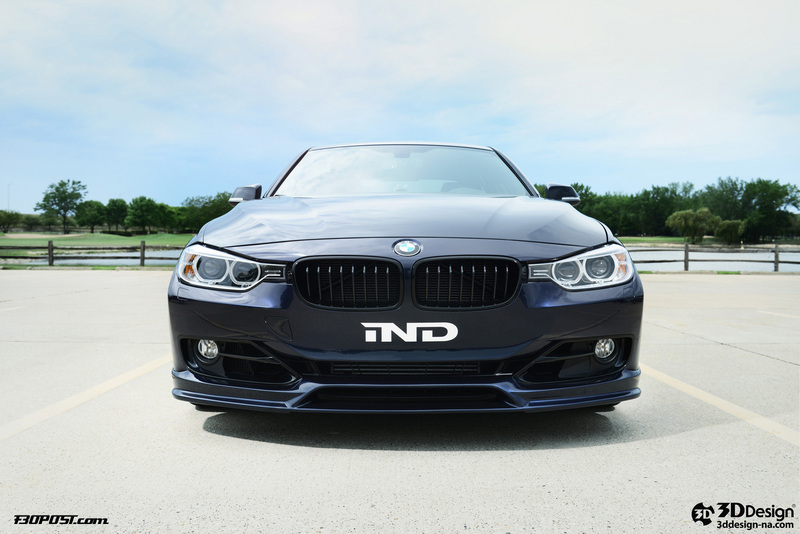 The lip also features a aluminum L bracket on the inner bottom portion of the front lip to increase rigidity preventing sagging of the material in the front air dam. The lip is constructed of urethane and is a breeze to paint. 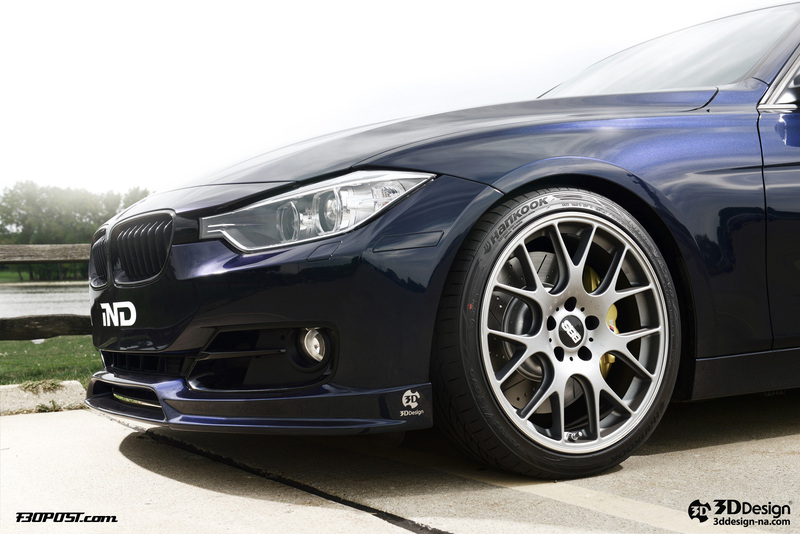 Exciting , and specially eisenmann exhaust. 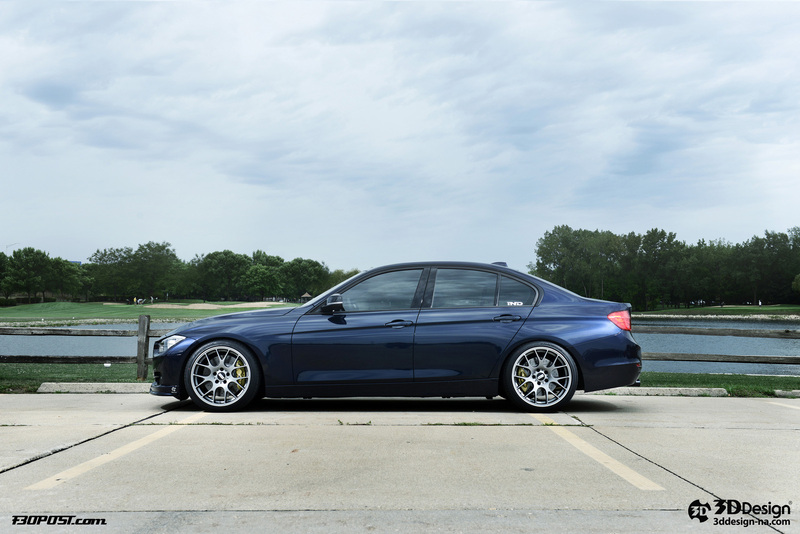 Would love to see if eisenmann can improve the exhaust sound of 328i. wowwwwww, that color is SIKKKKKKKKK , its gonna look even sikkker with all the mods, GL cant wait to see the finished product!!!!!! cant wait! looking forward to seeing the after market parts! nice, can't wait to see what you guys do to it. Wow, those black grills look awesome on the blue! What size tires are you running? Any rubbing in the rear with 35offset? Is your car lowered or are you planning on lowering it? 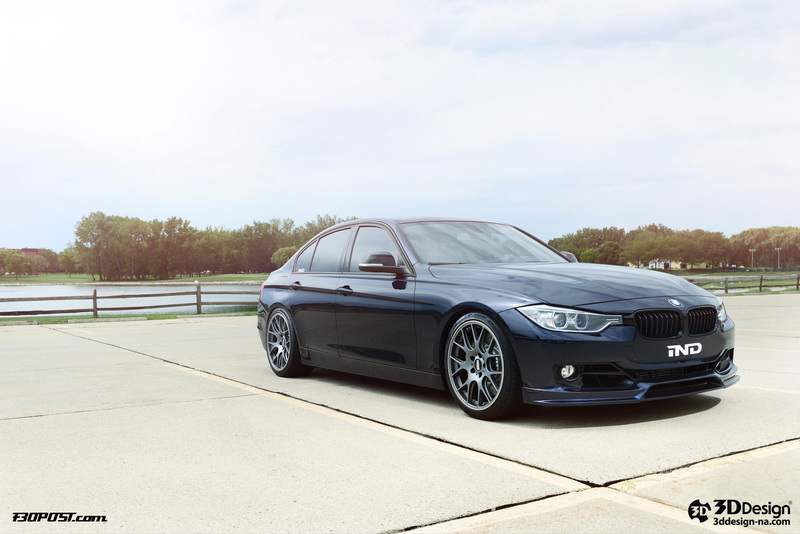 More modded F30 to come I guess. 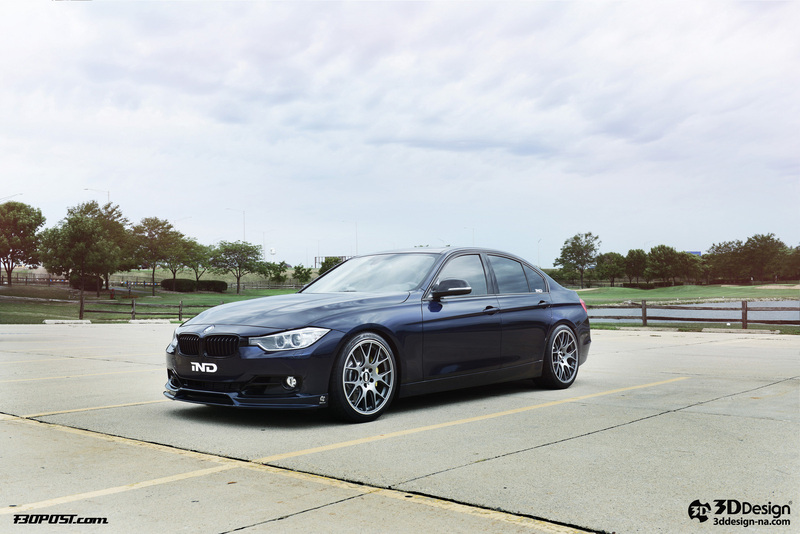 Tomorro morning I'm dinitely going to order the black grille for my BS F30. 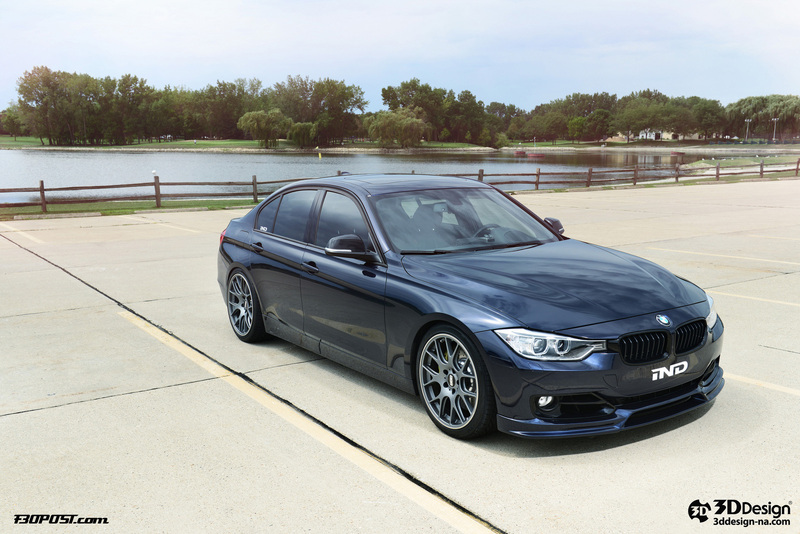 This week our F30 will be getting some great additions. 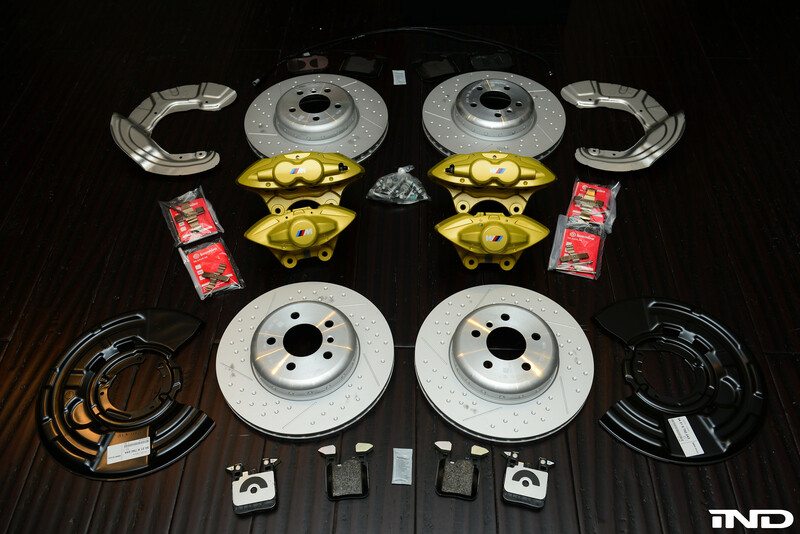 For starters the BMW Performance Brakes just arrived today. Last edited by IND-Distribution; 08-06-2012 at 01:18 PM. ^ looking good. BMW got their M logo upside down on one side. Those look great! Curious how initial bite and overall feel will be changed. 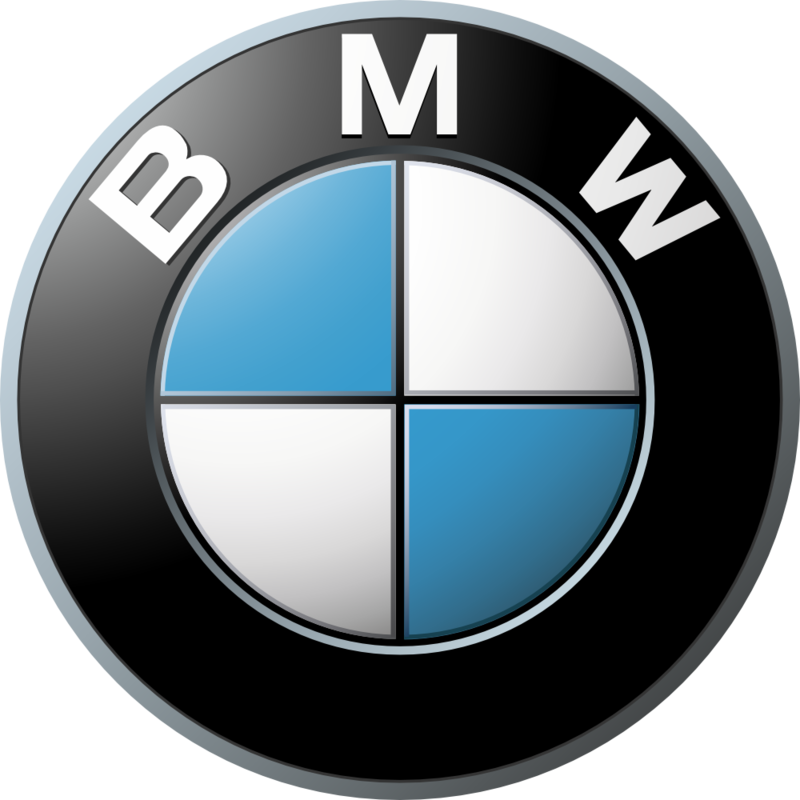 BMW got their M logo upside down on one side.